University of Information Science and Technology - University of Information Science & Technology "St. Paul the Aposle"
Log In to Your Future! The University of Information Science and Technology (UIST) “St. Paul the Apostle”, is a higher education state institution located in Ohrid. 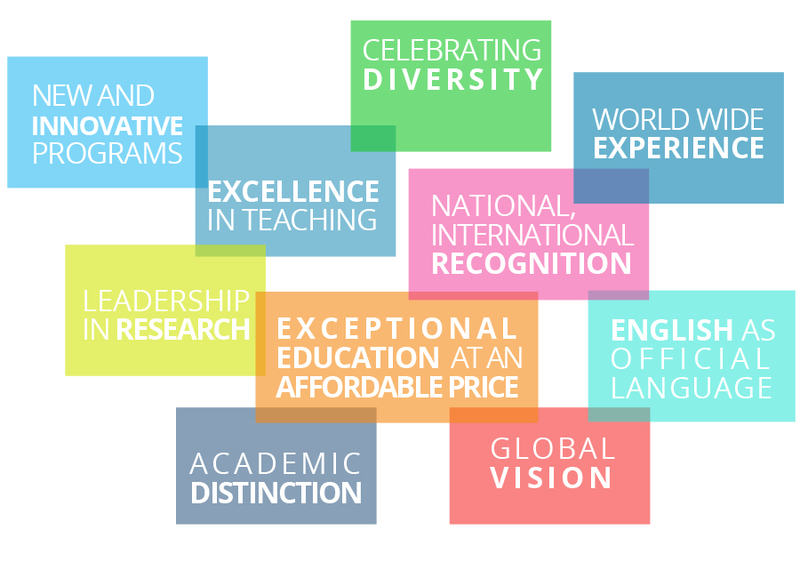 UIST is committed to providing excellence in education and research in the field of information sciences and technology, and according to the ranking list composed by Shanghai Jiao Tong University, is currently ranked 4th out of 20 universities and high education institutions in the country. At UIST we offer innovative contemporary study programs based on best practices of instruction used in some of the leading universities in USA, Europe and Australia. Our programs are designed to meet the needs of the new generation of ICT professionals, allowing our students enough space for specialization and pursuit of their individual interests. English is the official language of instruction at UIST. Our teaching staff includes many experienced and well established professors, some of them associated to renowned universities from USA and Europe. The international outreach of the university results in UIST having a multicultural student population from a wide variety of countries, along with domestic students. Based on the established relations with other universities and ICT companies, as part of the student exchange programs, UIST gives its students an opportunity of taking a few months during their studies for sponsored staying and studying at designated universities and/or ICT companies in USA and Europe. Students also have the opportunity for participating at several competitions for computer programmers, where the best contestants are awarded with valuable prizes and public promotion, thus enhancing their future career prospects. This is through a strong cooperation which is fostered by UIST with the ICT sector. Building up its image as a center for production of skillful ICT professionals, UIST is often directly approached by companies in demand for quality employees. During their term at UIST, students have the choice of staying in the nearby local dormitory or making personal accommodation arrangements in the idyllic lake city of Ohrid. The UIST staff provide assistance and advice for this. The international students at UIST are welcoming the fact that we are a country with an economically attractive cost of living, this is also a valid factor when considering the tuition fees for studying at UIST.